When I was a child it was the best day ever if you go to go the soft play, which was a hall with some brightly coloured foam shapes. Goodness knows how we children of yore would have coped with the excitement of a place like Air Hop. We would probably have spontaneously combusted the moment we walked in. Move over soft play, you are old news. Trampoline Parks are the new kid on the block. They are surfing the zeitgeist that actually quite a lot of adults like a bounce as well as kids. AirHop Bristol opened in 2016 in a modern warehouse by the Mall, Cribbs Causeway and, unlike many soft plays, it’s spotlessly clean! It doesn’t smell! You can get a decent coffee and the carpet isn’t stained! It’s time to welcome indoor kids entertainment to the next Millennium. The key to it’s success is that it appeals to all ages. 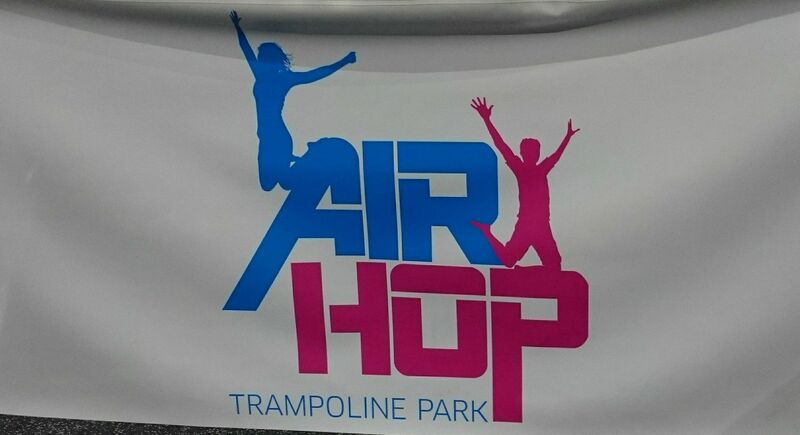 Toddlers, primary school trampolining fans, hard to please teens, adults who fancy trying something new and haven’t been on a trampoline for 20 years, hen nights, birthdays, works evenings out – AirHop has it covered. 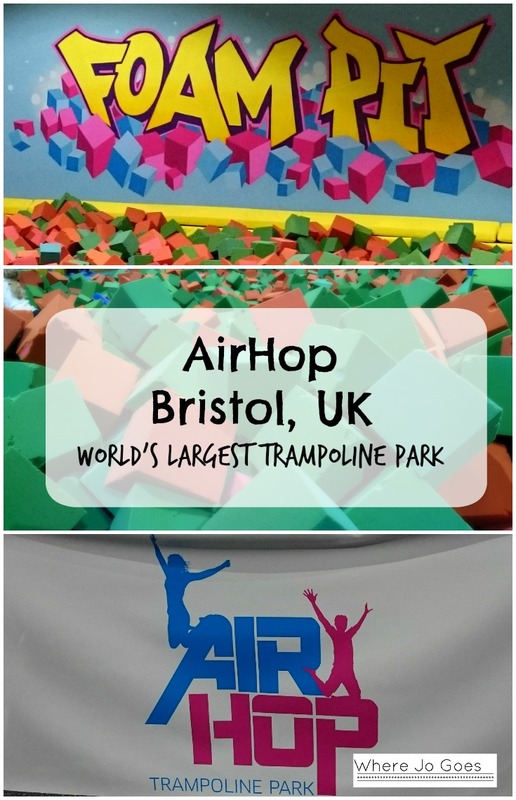 AirHop Bristol claims to be the world’s biggest trampoline park and whilst I haven’t got my measuring tape out, it’s easy to believe. 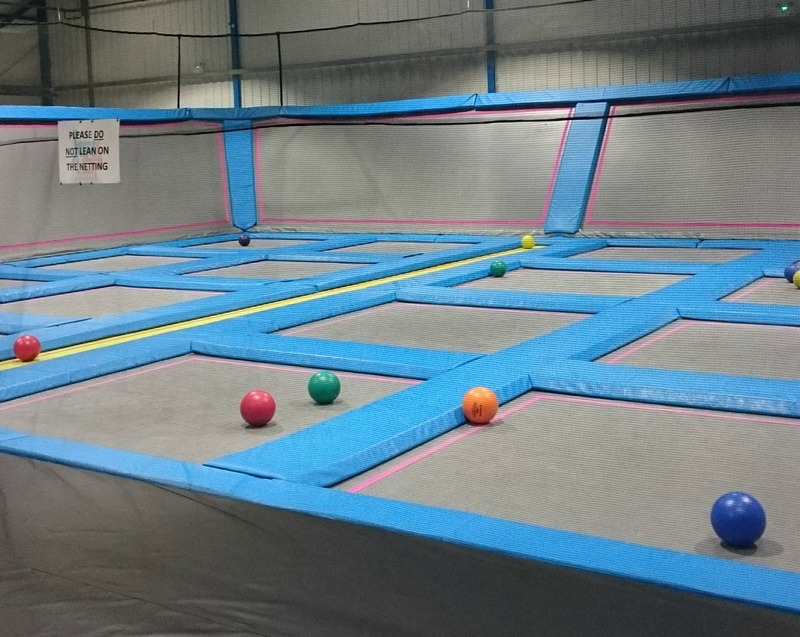 -135 interconnected trampolines that go wall to wall for jumping, leaping, traversing and general all round bouncing. -Basketball slam dunk – bouncy basketball! 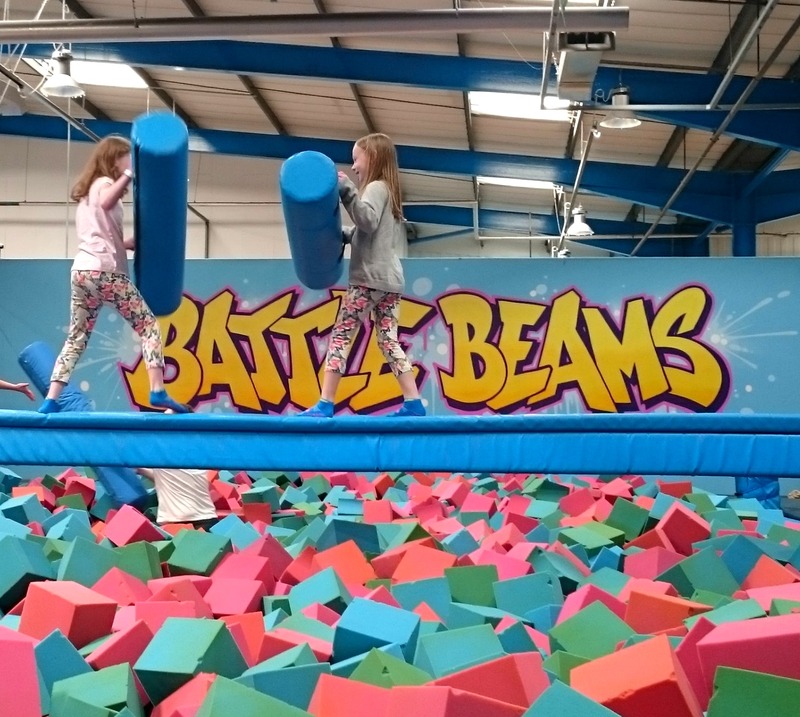 -Foam Pit – spring and tumble into this awesome foam pit. -Battle Beam – remember the old style Gladiators on TV? Now’s your chance to battle your opponent on the beam and knock them off with your soft pugil stick into the foam pit below. -Wipeout – take your place in the Wipeout zone as you try to duck or jump to avoid 2 spinning arms. I find this hilarious to watch, it’s a lot harder than it looks. -Dodgeball – 2 dodgeball courts manned by a referee. 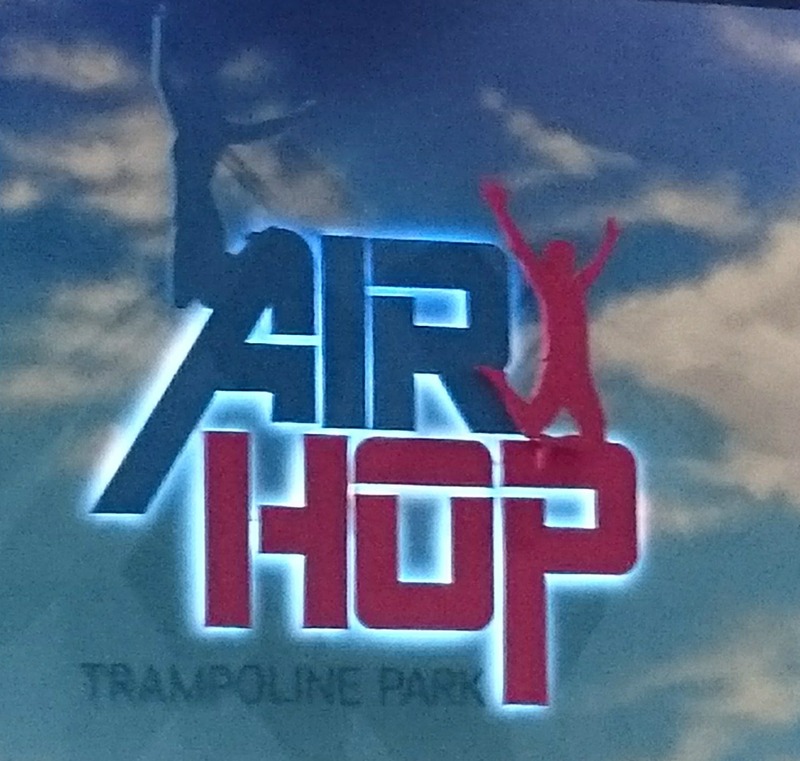 AirHop as described by my 9 year old, ‘Awesome, it was brilliant, I loved it’. There you have it. 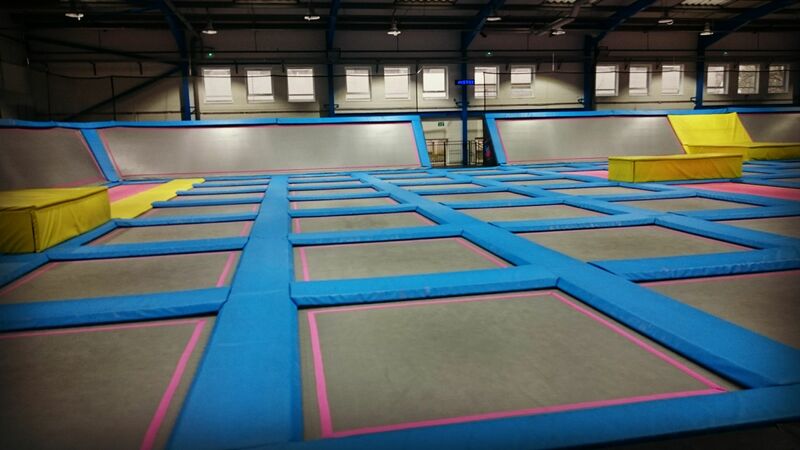 What my kids would make of the hall with the foam shapes I don’t know, but I’m pretty sure trampoline parks are the future of jumping! Safety is key. You must watch the safety briefing and must abide by the safe jumping rules. Book in advance – this place is popular. Waivers – need to be completed online if possible or on the day. Lockers are provided for putting your stuff in whilst you bounce. Socks – AirHop socks are obligatory and included in the price. 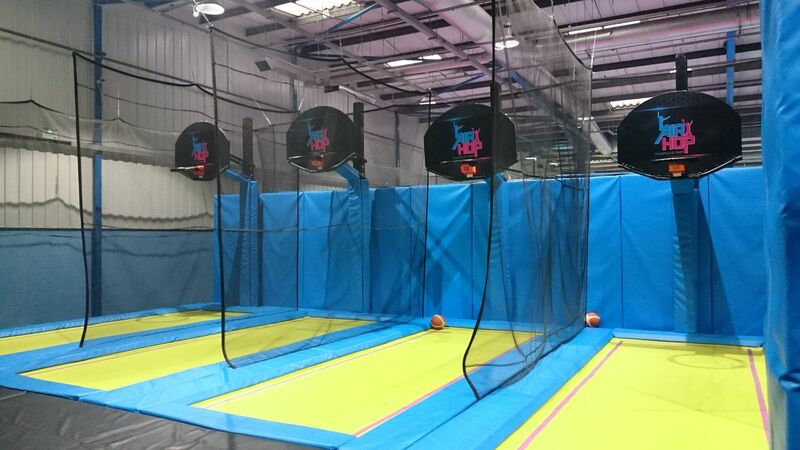 AirHop is also open in Guildford and is coming soon to Croydon and Solihull. This post is in no way endorsed or supported by any of the organisations mentioned. All words, photos and bouncing are the work of the author. This looks like tremendous fun. I wish they had had something like this when my boys were young. I am not sure I would want to try it myself but it would be great to watch them. Yes it is really fun to watch, so many bouncy smiles! You’ve got it right because I laughed my socks off watching my husband on the wipe out! I think they are popping up everywhere! I haven’t found it full on as they are very safety conscious so for example, you can’t bounce on to a trampoline that someone else is already on. They also have lots of staff. The younger sessions would be better though. It’s lots of fun! My childhood was wasted! How cool is this place?!? Exactly! You’re a woman after my own heart!